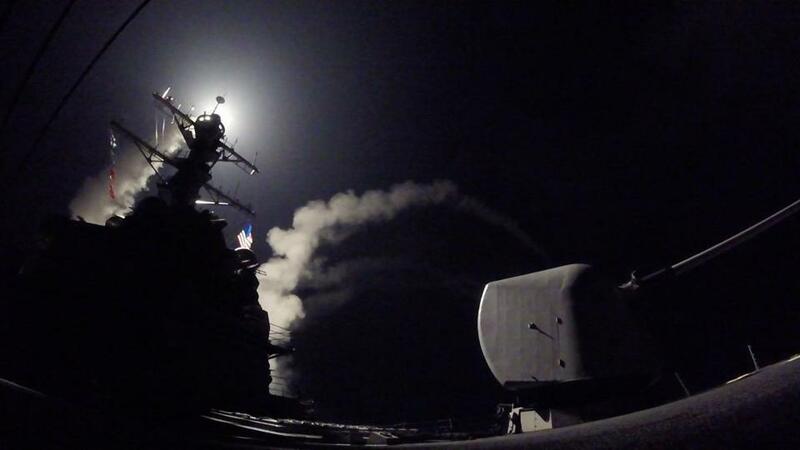 The guided-missile destroyer USS Porter launched a missile strike against Syria on Friday. President Trump’s decision to fire 59 cruise missiles against the regime of Syrian President Bashar Assad for its use of chemical weapons is not easy to categorize. It’s both highly problematic and yet eminently defensible. First, to the latter point. Global norms matter, and upholding the long-standing one against the use of chemical weapons is important. Indeed, as Barry Posen, political science professor at MIT and the director of its Security Studies Program, sagely pointed out to me, one of the great ironies of Trump’s decision to use force is that is actually in direct support of President Obama’s 2013 negotiated agreement with the Syrian government (brokered by Moscow) to rid that country of chemical weapons and uphold the international norm regarding the use of such weapons. Trump and other Republicans — along with practically the entire D.C. pundit class — have repeatedly and vociferously criticized Obama’s actions back then because he didn’t send cruise missiles into Syria. But these criticisms consistently ignore the fact that the threat of US military force pushed Assad to turn over his stockpiles of chemical weapons and deterred him from any further use of these banned weapons in the more than three years since the deal was made — until now. Now that it appears Assad violated the agreement he made with the United States, it’s hard to criticize a US president for deciding to use military force to enforce a deal made by his predecessor. But that doesn’t mean there aren’t significant problems — and limitations — with Trump’s decision. First, it’s not clear that Trump understands what global norms are and why they are important. Considering that he has spent the first 77 days of his presidency showing no interest in strengthening global institutions or upholding international rules, it’s hard to give him much credit here. Second, just days ago, Trump administration officials suggested that the removal of Assad from power was no longer US policy. 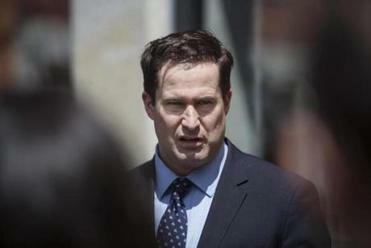 Representative Seth Moulton has some choice words for President Donald Trump following the US assault in Syria. Three days later, the United States bombed Assad’s military assets. It seems that Trump’s astounding about-face was driven largely by the images of Syrian children killed in this chemical attack. Those pictures are certainly heartbreaking, but the president’s job is to be dispassionate and consider the larger strategic implications and potential consequences of using American military force. One would hope that Trump would not simply order a military attack because he was affected by terrible images. It is a troubling indication of how easily, quickly, and without much deliberation (or evidence) this president can reverse even long-standing foreign policy positions. That sends a very dangerous signal to allies and enemies alike. Third, by impulsively deciding to bomb Syria, Trump has put his credibility on the line. What if Assad orders another chemical weapons attack? What if he simply goes back to indiscriminately killing civilians, including children, with air strikes or barrel bombs? How will Trump resist the pressure to ratchet up force to punish Assad again? Does he even want to resist that pressure? What if the Russians decide to respond provocatively, particularly in regard to the US troops in Iraq helping in the fight against the Islamic State? There’s little indication that Trump has given much thought to these questions. Fourth, the Trump administration is taking the position that the United States should use force to punish the Assad regime for indiscriminately attacking civilians . . . while actively seeking to block those same civilians from being accepted as refugees in the United States. If Trump cares so much about Syrian children being killed by Assad, perhaps he should stop blocking their entry to this country. Fifth, the strategic logic and impact of this attack is virtually non-existent. It will do nothing to hasten the end of the war in Syria or end the suffering of the Syrian people. Indeed, the Trump administration doesn’t appear to have any larger political strategy at work here and, if anything, seems to be going out of it way to say this is an isolated attack without any diplomatic or military follow-through. If Trump’s goal here was to project toughness the clear indication that this is a one and done operation will likely have the opposite effect. Assad might be deterred from using chemical weapons again, but there’s little reason to believe he’ll be deterred from continuing to sadistically prosecute this war. This airstrike also means the United States is now in conflict with two key protagonists in the Syrian civil war — the Assad regime and ISIS. Considering that US policy in Syria has been focused on defeating the Islamic State, getting involved in a larger war with the Syrian government would fundamentally undermine that goal. Lastly, while the armchair generals in the D.C pundit class are practically wetting themselves over the fact that the United States has finally punished Assad, their fevered dreams that the United States will get more involved in the Syrian civil war will likely go unrealized. There remains no effective US policy to end the war in Syria, and even with our impulsive, overly-emotional, and strategically deficient president, there is unlikely to be major escalation. The fact of the matter is that there still doesn’t exist an effective US policy to stop the bloodletting in Syria, which is something that Trump will likely come to understand. In the end, this appears to be a one-off attack intended to make it look like the United States is doing something to respond to a heinous atrocity. While it might be defensible, that doesn’t mean it’s smart.